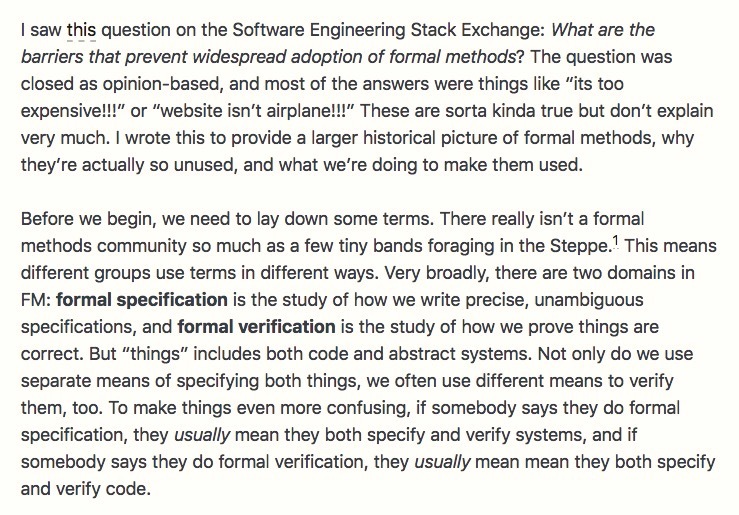 What are the barriers that prevent widespread adoption of formal methods? This image is from an article titled, Why don’t people use formal methods? I like the parts about writing “precise, unambiguous specifications,” and some other parts.